Road Trip: Velvet Ice Cream - Utica OH | The Food Hussy! 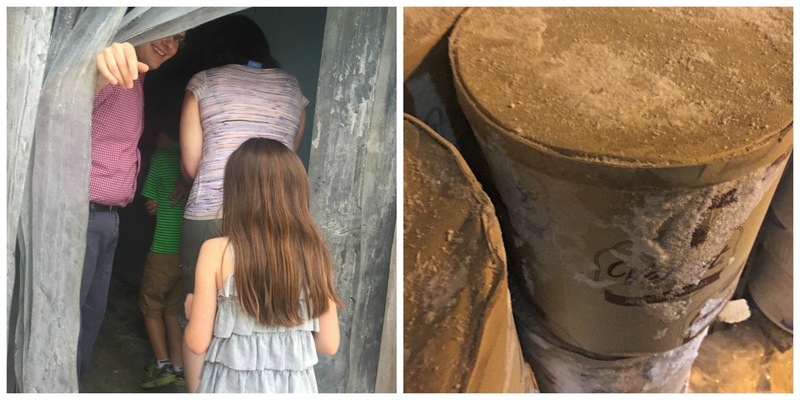 They've take their production facility and turned it into a tourist attraction with a restaurant, gift shop and museum. They even have a little petting zoo area - which I obviously visited! 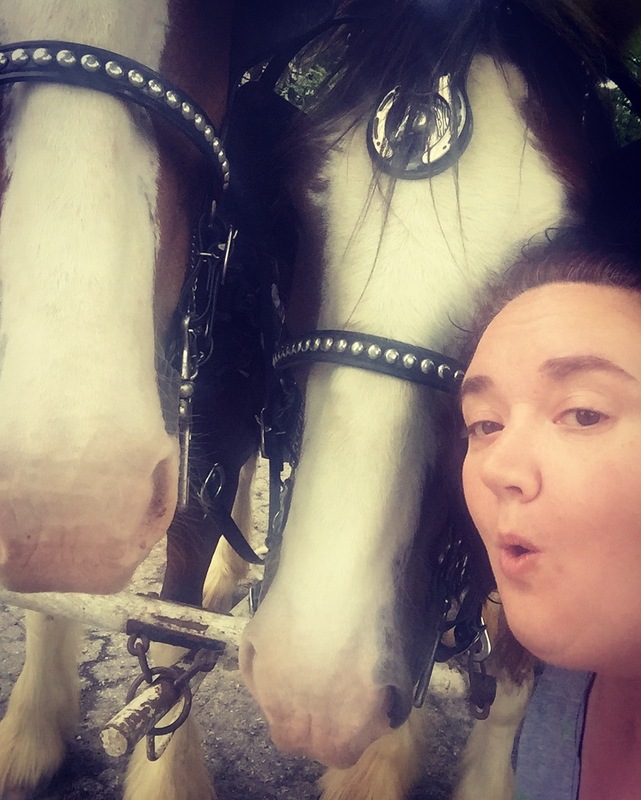 Sometimes a horse & carriage stop by and give rides on days with lots of kids and they happened to be there when we pulled in. The funny thing is I was taking the picture with the horse next to me and suddenly right as I clicked - the larger horse basically jumped in the picture as to say, "What about me????"! They were beautiful and very snuggly. 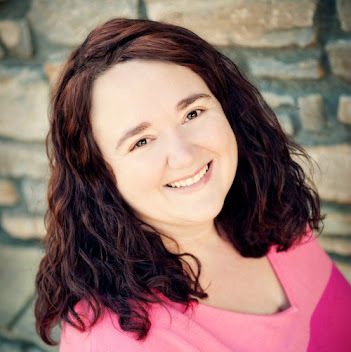 First thing we did was get some lunch - and I got to meet another blogger - Local Farm Mom - and her two adorable kids. 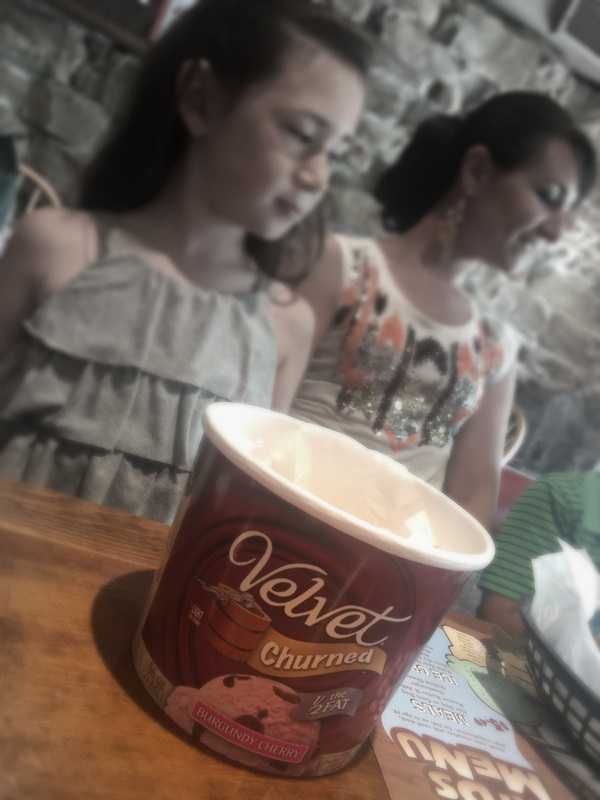 The kids lunches came in Velvet ice cream tubs which was definitely a cute touch. 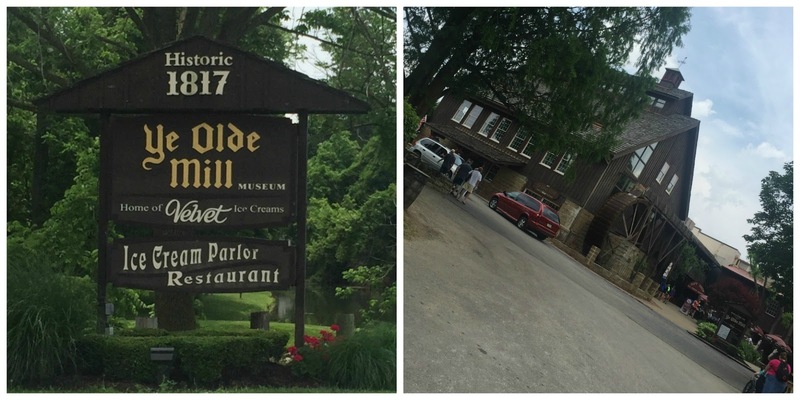 Ye Olde Mill has an ice cream parlor, restaurant, gift shop and museum all together. There is ample seating for diners. We all got sandwiches but their menu is pretty good (scroll to the bottom of the page) with sandwiches and salads. 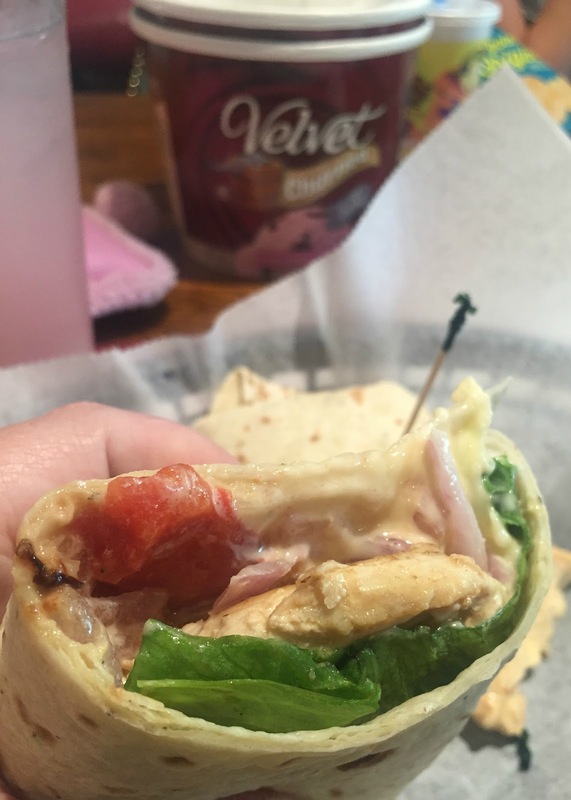 I got the Mill Wrap ($8.99) which had grilled chicken, pepper jack, onion, lettuce, tomato and ranch dressing. This wrap was surprisingly spicy - but the chicken was juicy and it was really good. After lunch - LET THE TASTING BEGIN!! 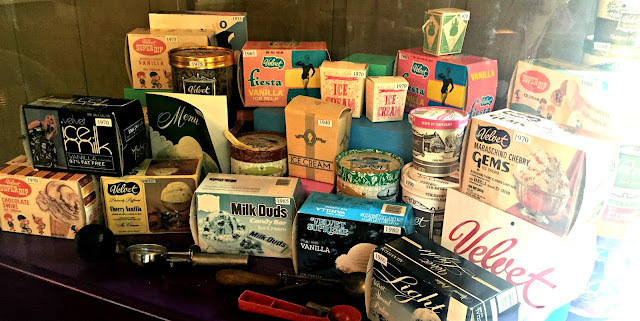 We tried so much ice cream! I can't even! Buckeye Classic (top left) is their best seller - with good reason. Peanut butter ice cream swirled with chocolate fudge and mini peanut butter cups. 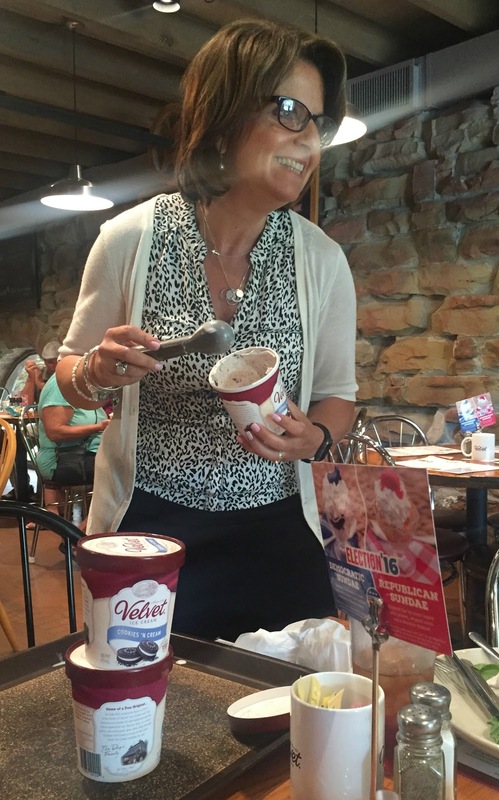 Another team favorite was the Raspberry Cordial - black raspberry ice cream swirled with fudge and raspberry cordial candies! I personally am always a sucker for cookie dough and they did not disappoint! 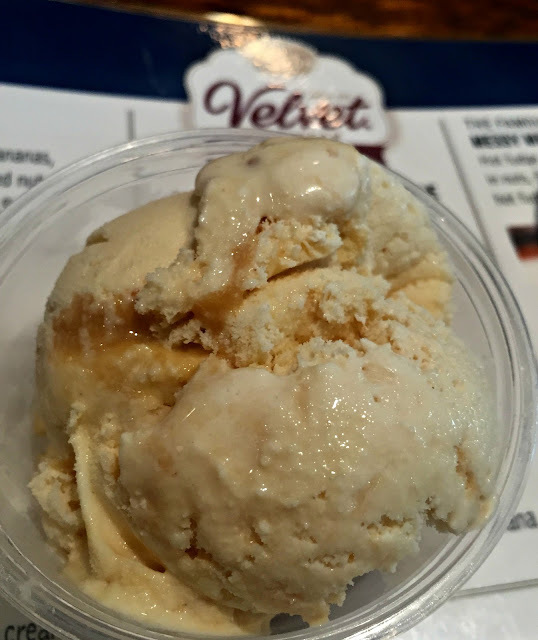 Another one to check out this is their seasonal Summertime Peach - how great would that be on my mom's peach cobbler! The Dager family has owned Velvet for four generations and the president, Luconda, came out to serve us some Cookies & Cream right off the line. It was a bit soft because it just came off the line - which is just how Larry loves it (he normally microwaves his). I think he could have eaten the whole quart himself (and he practically did!). 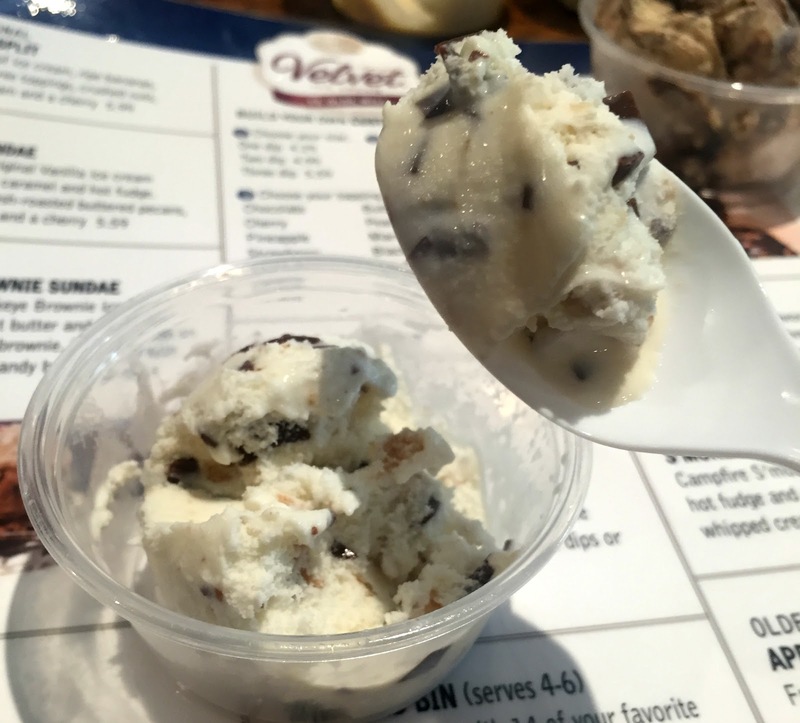 In addition to the flavors they sell in-store they have additional flavors in their Ice Cream Shop that you can try - the Campfire S'mores was a huge hit with our group! It was chocolatey and had that smokey marshmallow taste as well - so good! 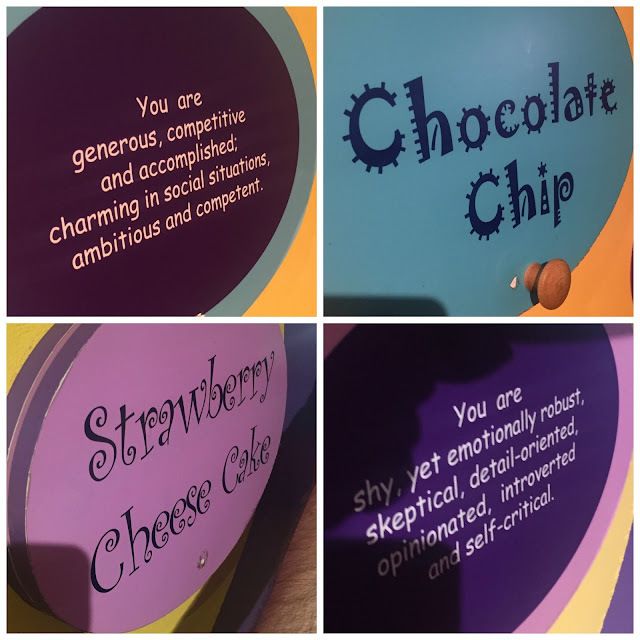 In the kids museum area - they had a really fun Personality Test based on your favorite flavor of ice cream. Our tour guide told us that nearly every time someone has looked at it - it's been accurate. I was skeptical but I have to say - these were RIGHT ON. I obviously was the Chocolate Chip...and Larry was the Strawberry Cheesecake. Seeing it say he was shy, skeptical and opinionated was like they wrote it with him in mind!!! And me - charming in social situations - well DUH! 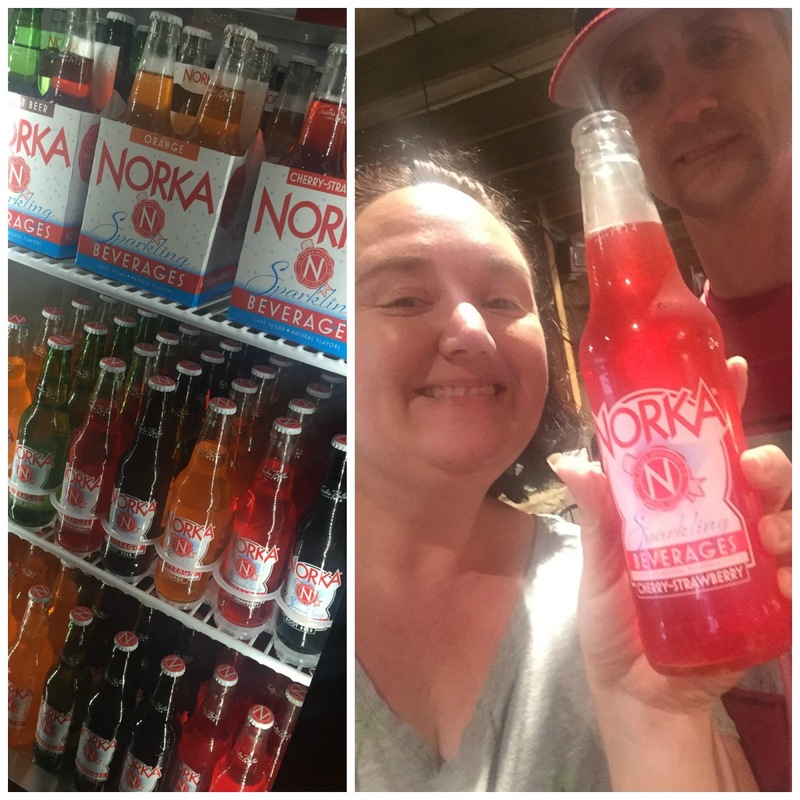 There were also other local products like Norka Soda - I had never tried it but the strawberry was super fruity! 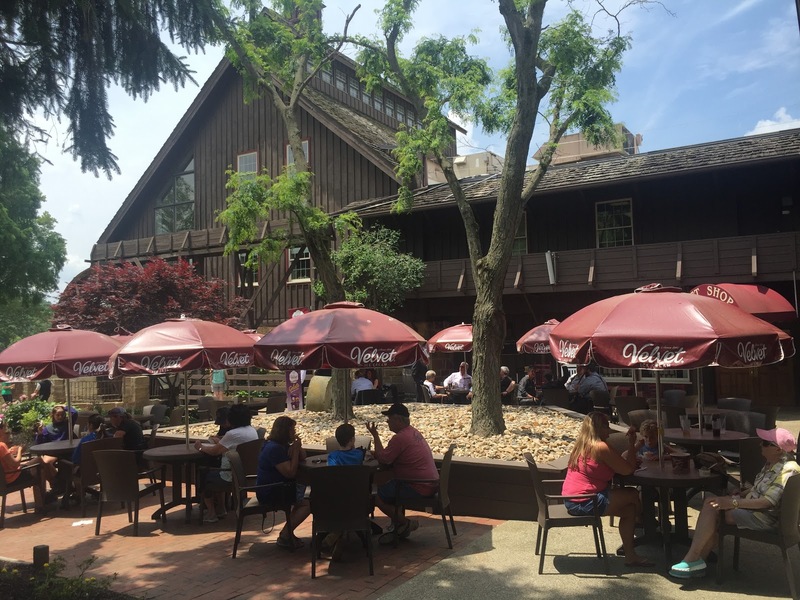 The restaurant also extends outside to a fantastic patio with a view of the property and the Olde Mill. The property itself is interesting as well with ties to the Underground Railroad. It's got beautiful old touches. 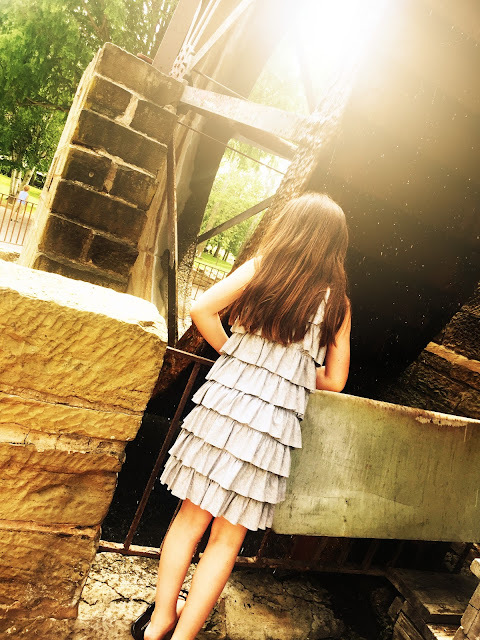 My new blogging friends daughter was looking at the mill and it was just too adorable not to capture! After looking around the property we got to go in the freezer (where I did one of my first Snapchats! 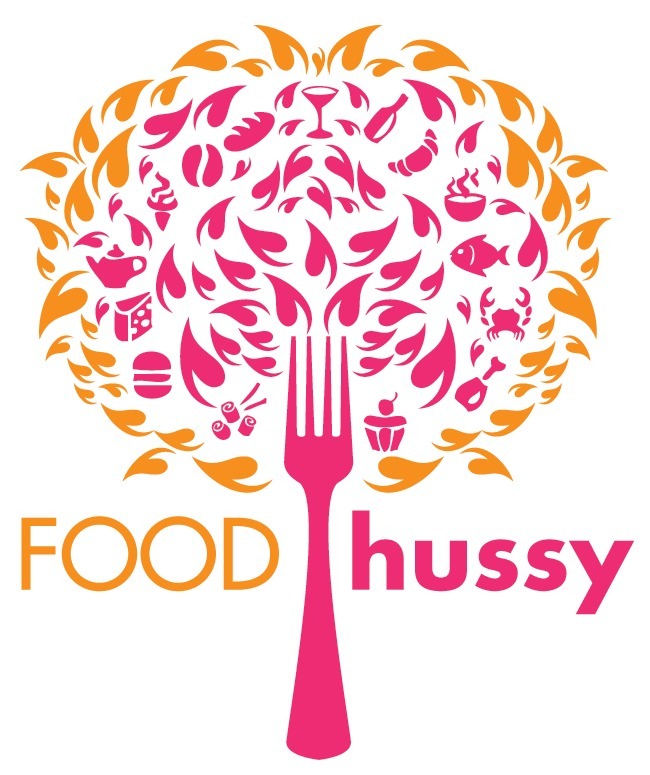 username: foodhussy - follow me!). I was about to say how cold the freezer was but duh. It was actually kind of nice because it was sweltering that day - so we cooled off for a few minutes. There's also a Factory tour - it's not so much a tour of the facility as a window into the facility. If you want to see the production line - I recommend going in the morning when they open at 11. 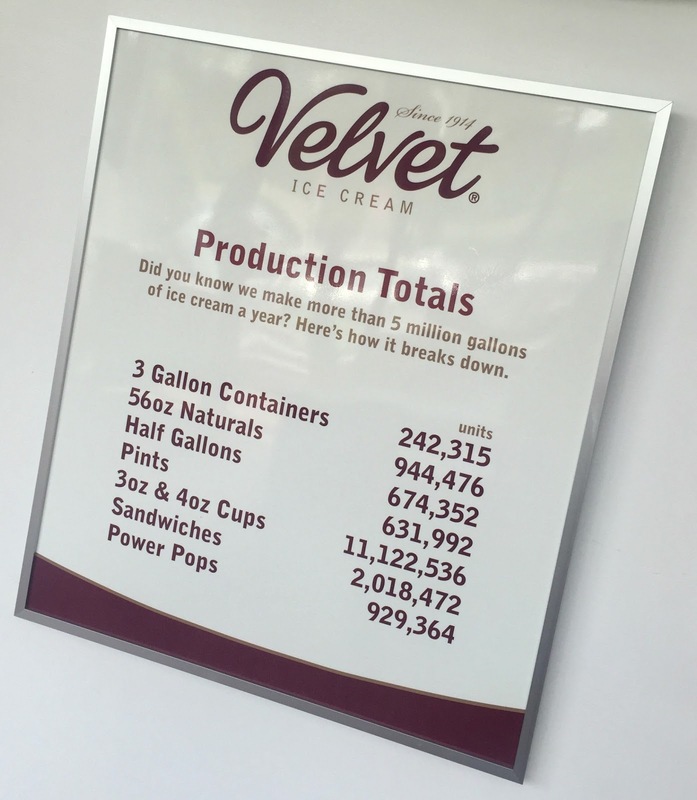 And check out those production totals - that's a lotta ice cream!!!! After the tour we went to the petting zoo area - that was a cool looking duck! They had a couple of goats, sheep and a baby cow. It was fun. I was more excited than the kids - but that's to be expected with me. Larry just shook his head and sighed. 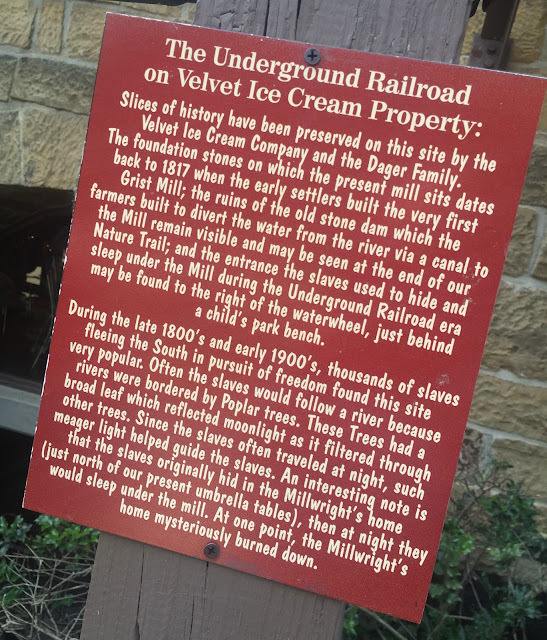 So that was my day at Velvet - if you're looking for a nice day trip - it's a nice drive with a good destination - especially if you have ice cream loving kids! 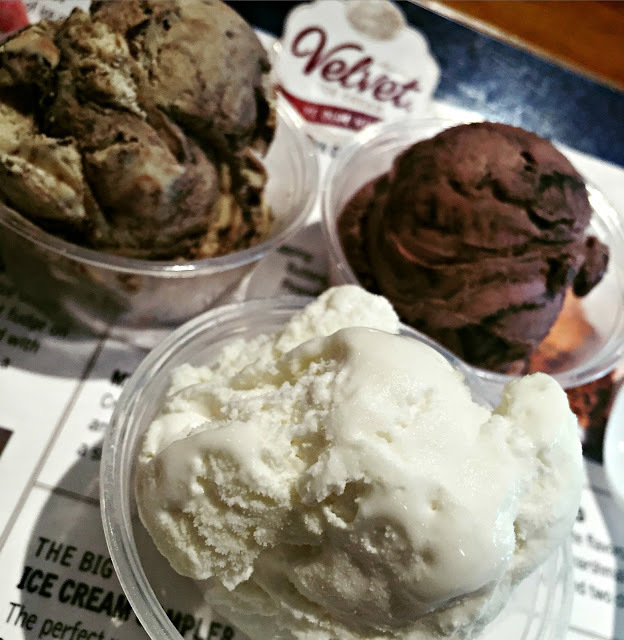 Be sure to catch me tomorrow morning on Local 12/Star 64 at 840am where I'll be making some ice cream treats thanks to Velvet Ice Cream!